Chanel Fracas: I got this bright pink shade for my birthday and have already worn it and receieved compliments. I used the Chanel top coat and it unfortunately peeled horribly after just one day (the worst peeling I've ever experienced from a high-end polish). I'll have to do some research and report back if it was the top coat, the polish itself or something I came in contact with. 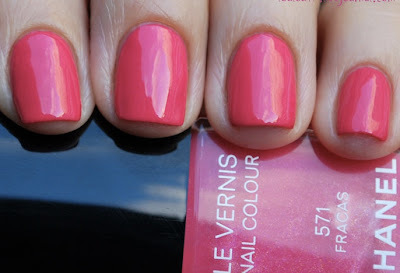 But if you're looking for a bright pink, this is great for a night out. When the skies are grey it's nice to see a pop of color on yourself. Zoya Neely: This is a gorgeous shade from Zoya's new spring collection. 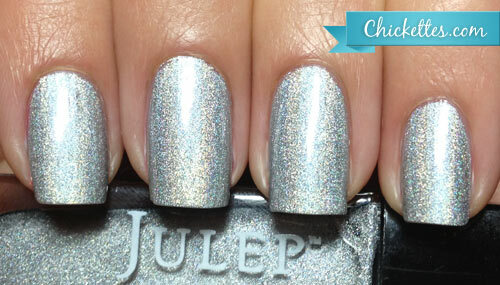 I haven't seen it in person yet but from the swatches I've viewed online, it has my name on it. It's described as a soft, pale mint. Essie Looking For Love: This one goes back to Spring '08 if I'm not mistaken. It's easily dupable. I'm just feeling the pastel lavenders and this is one of the few that Polyvore had available. I don't own this particular color but I do have a few similar ones. I'd go with OPI Rumple's Wiggin' (below), Essie Lilacism or American Apparel L'Esprit first. 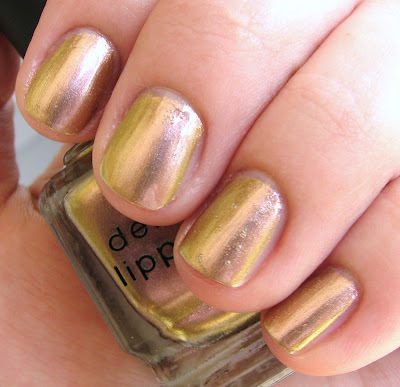 Deborah Lippmann Sugar Daddy: I love anything with a metallic, chrome or iridescent spark for spring. This is a nice one. Again, this one isn't in my personal collection but it looks eye-catching. Chanel Frenzy: I receieved this one as a birthday gift as well. It's a bit darker on than in the bottle which makes it less unique but it's still a very wearable color for transitioning from winter to spring. 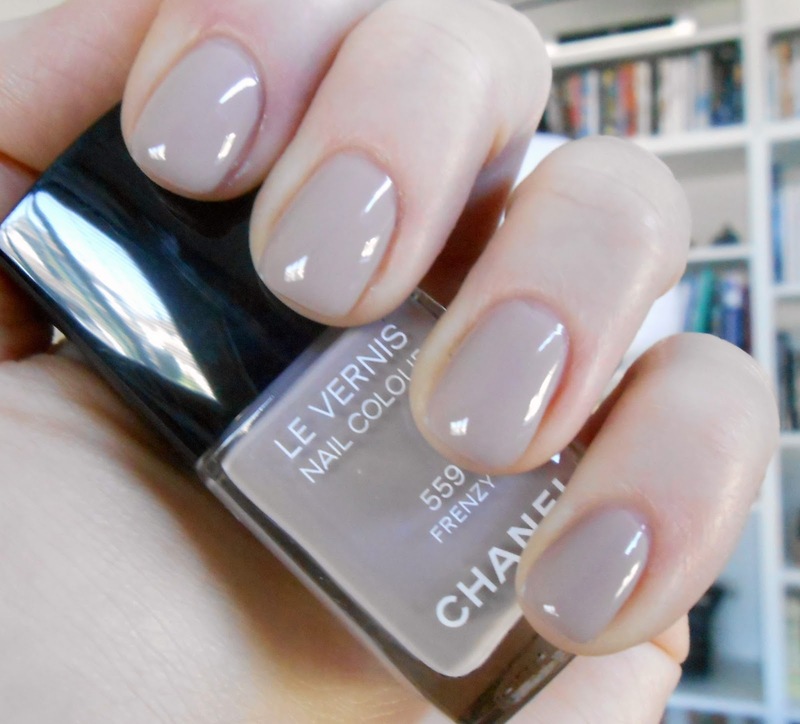 Orly Peaceful Opposition: This is the polish I want to add to my collection the most! It's a very original shade with a milky white base and thick, silver glitter. I could create a similar effect with separates that I already own but Orly put this together flawlessly. I've been really impressed with Orly lately. The entire Spring 2013 Hope & Freedom collection is fantastic. Julep Rebel: I receieved this in my monthly Julep Maven box. It was inspired by one of my favorite comedic actresses, Rebel Wilson. It's a gorgeous silver, holographic. I've been obsessed with this look for nail polishes and accessories. The entire Color Club 2013 Spring collection is also something to check out. 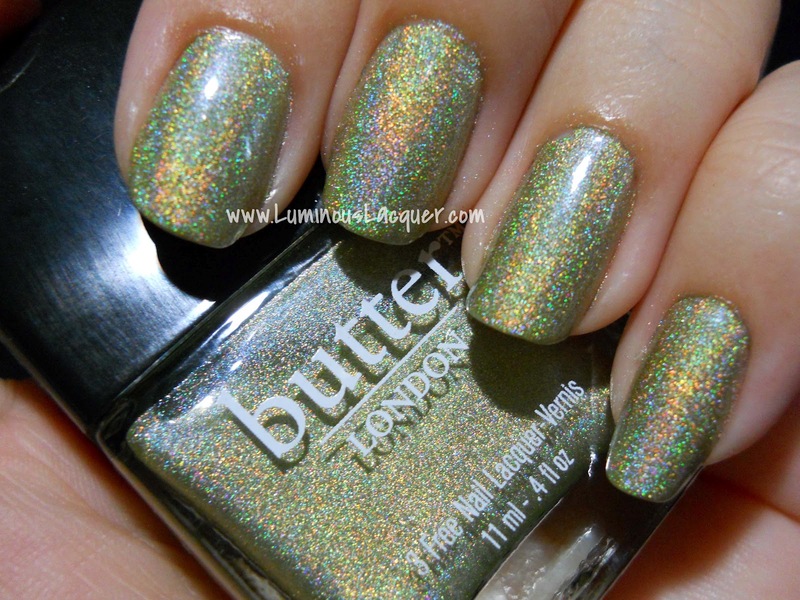 Butter London Trustafarian: This is one that I don't have in my collection but I do own something very similar in A England Princess Sabra. It's a very unique sage green holographic. OPI My Vampire Is Buff: OPI has the best polish names in the business and who can resist this one? It's a lovely off-white creme and I can't wait to get my hands on it. Orly Coachella Dweller: If only this one were called Bonnaroo Dweller or even Lollapalooza Dweller. I'm an east coast girl and have yet to make it to Coachella. I hear it's a totally different vibe at that festival. Those things aside, this is a beautiful pastel green. It reminds me of a more colorful version of Butter London Bossy Boots which is on the light pistachio end of the spectrum but one of my favorites.